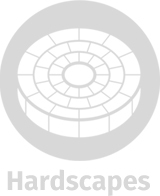 Designing and installing beautiful realistic all-natural backyard ponds is our specialty. 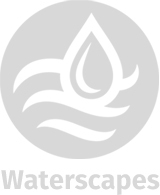 We are a pro-certified CAC Aquascape installation contractor. Our ponds have been installed in zoos throughout the country, as well as in the backyards of homeowners throughout our service area. 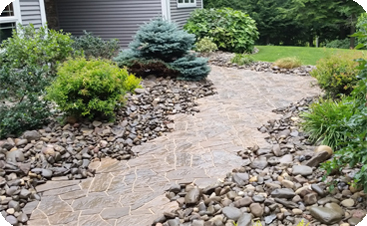 When quality and exceptional craftsmanship count, Shaylor’s Ponds & Patios is here to serve your pond installation and maintenance needs with complete dedication to excellence. 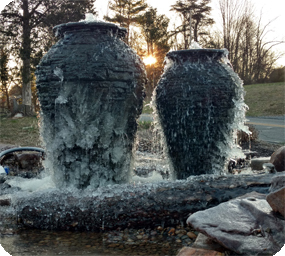 Are you interested in learning more about having a durable natural-looking pond seamlessly built within your property? 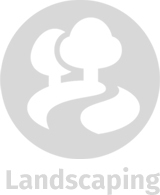 Would you like to request a general estimate for a repair or upgrade toyour existing pond? Please fill out the form below and describe your pond installation or pond repair/ upgrade needs. Please include 3 photos from various angles clearly showing your yard (for new installations), your existing pond (for upgrade requests), or the problem with your current pond (for repair requests). Be sure to describe the problem in detail. A representative from Shaylor’s Ponds & Patios will contact you as soon as possible to provide you with an estimate or schedule a consultation with you to further discuss your pond. How did you hear about Shaylor's Ponds & Patios?